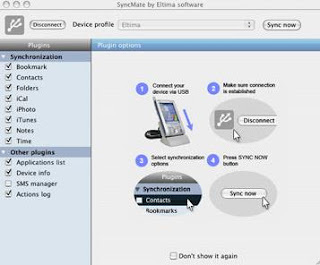 If you have a pocket pc that use window mobile system,then no problem for you if your computer OS is window for synchronize data purposed.How about for Mac OS ?maybe u you think that pocket pc is useless if your computer is Mac OS.Don’t worry,here has a software introduced to you,SyncMate. Since my computer is window xp operation system,i can’t tell you for more details.If you interested,please log on to syncMate. SyncMate is now offered in two versions: basic (free) and expert (charged for). 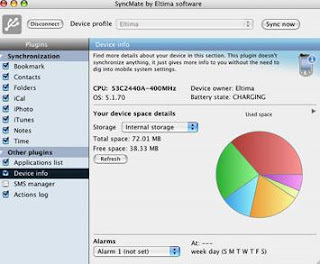 SyncMate now fully support Entourage, Google Contacts $ Calendar sync and lots more.